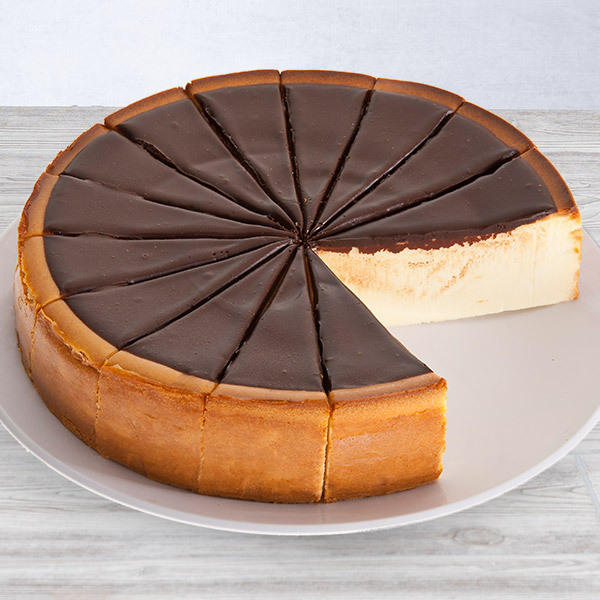 Our New York Cheesecake is delicious all by itself, but we decided to dress it up a bit with delicious, gooey fudge. 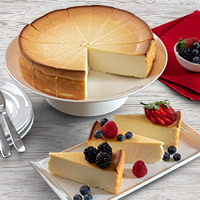 The top of our creamy, smooth New York Cheesecake is smothered with decadent, rich fudge, making an irresistibly decadent dessert. I sent this as a sympathy gift to friends out of state. But from what I was told, it was incredible! Very delicious, so thank you, because it is always difficulty to send something when you are not sure how it will turn out. I had this wonderful cheesecake delivered to a very special family member who was going through a tough time. She absolutely loved it! Thank you for helping me brighten her day! 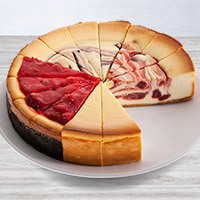 I was never much of a fan of cheesecake, mostly because I preferred something with chocolate. But this cheesecake filled the bill. Very creamy, but not too soft. And, the chocolate on top made it perfect.